I have been living in Panama City, Panama since July and the experience continues to be great. I went back home to Louisville for three weeks during Christmas so I will update everyone on what has been going on since I have been back. When I first came here I was living with one of my friends and his family and in January I found an apartment to move into. The apartment is in a great location and is about a 20-minute walk from my internship at Philips and a quick cab ride from my school. Itâ€™s in a new building with a pool so I can enjoy the great weather here. Since I came back in January it has been dry season here, which is completely different from how it was during my first part here. I was used to it raining half the week with a few sunny days (I prefer a few rainy days over snow and cold). But in dry season the weather is absolutely perfect for four months and there is not a single drop of rain. When I came back in January my school asked if I could be a chaperone for three study abroad groups that were coming to take classes for three weeks. The experience was great and I got to go to all the tours with the students (which included the beach), and also take the students out and show them the city. In February I got to experience Panamanian carnivals, which are nothing like I have been to before. The festivals are located in small towns outside of the city and I went to one in Panonome. The festival has thousands of people dancing to crazy loud music. And something unique to Panamanian carnivals is that you get sprayed with water the whole time. There are multiple water trucks that go around continuously spraying people down with water. At first I didnâ€™t really like this, but it got so hot during the day that I loved it. My favorite beach that I have recently gone to is the San Blas Islands. Getting there is an adventure but it is completely worth it. It about a two and a half hour car ride through curvy roads and then once you get there you have to take a 20-minute boat ride. But once you arrive it is absolute paradise. Seriously the most beautiful place I have ever seen. It is made up of over 300 islands and everything is so undeveloped and natural. This is a protected area of Panama because the native Indians are the only ones allowed to live on the islands. It was amazing to be in the boat and see so many islands and clear blue water. We got to go snorkeling through a sunken ship and we also went to a natural pool in the middle of the ocean. They called it a natural pool because itâ€™s in the shape of a perfect circle and itâ€™s this area right in the middle of the ocean that is about three feet deep. It was pretty wild to get off the boat and be able to stand waist deep in the water, with no land around me. I brought my dog from Kentucky here and I think he has been having a great time as well. I took him to his first beach in February and he was a little confused about it at first but quickly started to play and swim in the water. Iâ€™m also going to be a little famous here in a few weeks. Last week I was in a photo shoot for one of the cell phone companies here so they will be putting the ad up around the city soon. I will post a picture of the ad as soon as it gets published. My Spanish is progressing but it is still not as good as I would like it to be. There are a lot of people who speak English here so it is hard me to be more proactive and always speak the language. But I am not letting myself leave here until I am fluent. My name is Joey Bonura and I am studying in Panama city, PanamÃ¡ for about a year. I have already been here for about 2 and a half months and I have been having a great time. I am staying with the family of a Panamanian friend that I met at U of L and they have been really welcoming.Â I also brought my dog Riley with me since I am going to be gone for so long I couldn’t leave him at home.Â I am doing an internship at Philips as well as taking four business classes that I can apply towards my marketing degree. I really like the school I am going to because the class sizes are really small (about 13 people per a class) so the individual attention makes learning the material easier. At my internship I do a lot of research on market predictions for some of the different categories at Philips. Doing research for data in central america is a lot more difficult than other places because many of the countries are still developing. 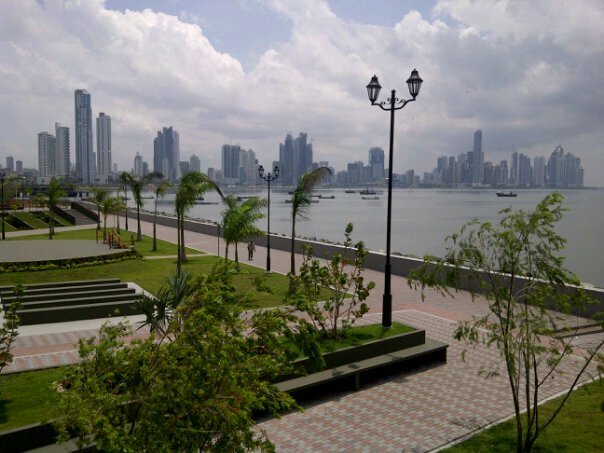 Panama is a great place to be studying business right now. The are so many construction projects going on and the city currently has about 150 skyscrapers. During my first week here Donald Trump held the inauguration of his first international hotel. The building is in the shape of a sail and currently the tallest building in Central America. The city also has a historic district called Casco Viejo that had Spanish colonial architecture and good cafes and restaurants to go. There is a track on the waterfront that I like to run on and it goes from the city to Casco Viejo. 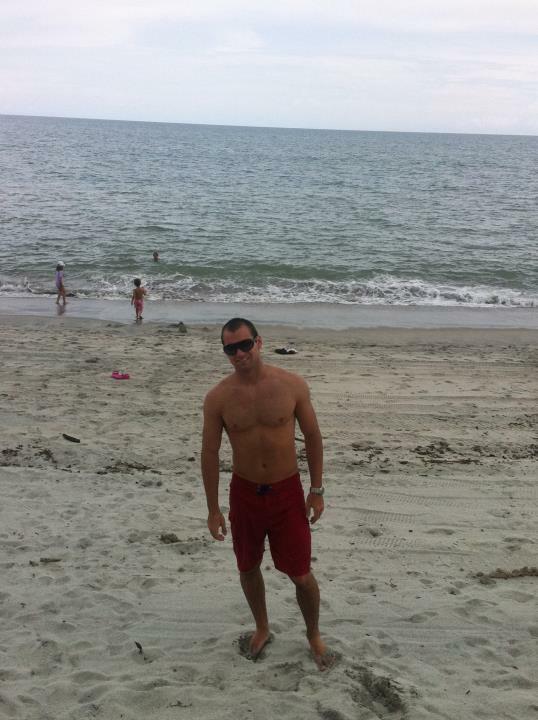 The beach is about an hour and a half from the city so I’ve been able to go there a few weekends to relax. Since I have been here I created a website for students traveling to Panama because I noticed there wasn’t very much information on the internet. If you want to check it out you can go to www.panamastudentguide.com. Also, a tip to everyone who is studying abroad and wants to save on foreign transaction fees: Capital One doesn’t charge any fees for foreign transactions so you can have a debit card and use it freely without having to worry about converting money or paying the high fees that banks charge. Panama only uses US dollars but my bank was still charging a foreign transaction fee which was $6 so I did some research and found that Capital One is one of the only companies that doesn’t charge any fees, so I set up an online checking account with them and it actually works. I will try to be more consistant with my posts on here and keep everyone updated on new things that happen. If anyone has a twitter account and wants to follow me you can go to twitter.com/joeybonura. Its a lot easier for me to post updates on there because i can do it straight from my phone.